Recently I’ve been meeting with a young man, and we’ve been talking about how God uses us, our gifts, and even our finances to help others for His glory. I gave him a copy of the book the God Pocket by Bruce Wilkinson that has an extremely practical way that we can purposively live this out, which I wrote about here: The God Pocket. And then I received a copy of Austin Gutwein’s Live to Give. Wow! Gutwein is the exact same age as the young man I’ve been meeting with, 18, and the author has wisdom far beyond his years. 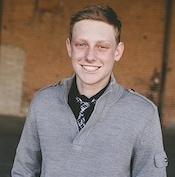 It’s amazing that God chose this young man when he was only nine to change the lives of thousands in Africa through a ministry he formed called Hoops for Hope. And he’s been building clinics, schools, and feeding the hungry there ever since. 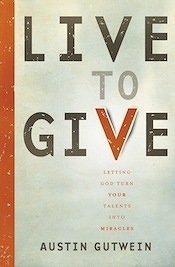 Live to Give is all about how God uses what we have to help others. One of the biggest things I took away from the book was Gutwein’s illustration of the young boy who brought the loaves and fishes that Jesus used to feed the five thousand. The disciples went all through the crowd to see what food was available, and this was the only person who remembered to bring his lunch, and he gave it up to Jesus. Likewise we might be the only person in the crowd who has what God wants to use to help the multitude. Are we willing to give it up to Him? I’d highly recommend this book. Be sure to check out the information below for your chance to win the book and some other neat prizes. I received a copy of this book free from the publisher for review. Wow, this sounds pretty good. 18 is really young. God bless him. Isn't it amazing how you were I guess in a sense mentoring a young man this age and then found this story? I have listed your blog on my resources page, and I am trying to include an image for each listing. If you have an image you would like to include with your listing, please email it to me. kirraantrobus@gmail.com.